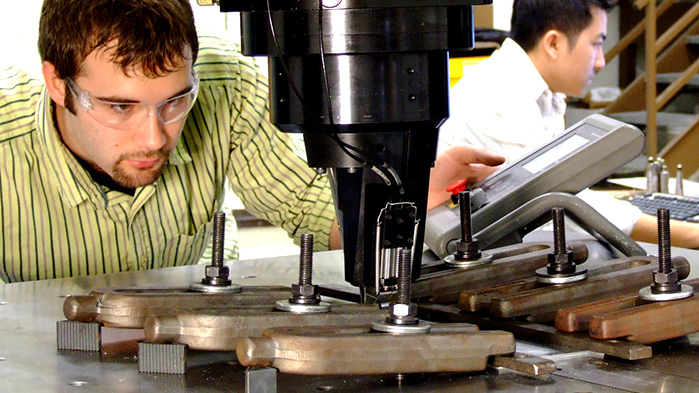 The Center for Friction Stir Processing (CFSP) is a national center of excellence in friction stir processing. The center brings together internationally recognized university researchers from the University of North Texas, University of South Carolina, and Wichita State University. CFSP has acquired notable sponsors and together they are focused on a common goal of advancing the science and technology of Friction Stir Processing (FSP) to accelerate its industrial application. The CFSP brings together researchers from universities at the forefront of FSP research. Combined, these institutions bring more than 50 man-years of experience in FSP, with over 100 publications, 20 patents and millions of dollars in research funding. In addition to expertise, these universities bring together equipment, facilities, and auxiliary capabilities that are unsurpassed in the FSP community. A center collaborating with CFSP.